As I was browsing through the TV series that might interest me, I noticed that I had not seen this one at all despite it has been running for the fifth season now. Which would translate to a good series and attracted a lot of viewers (US TV producers tend to be very vicious when deciding which series to continue or stop, which would depend entirely on the viewership. The lesser it is, the quicker it would be cancelled). So anyway, another series about Sherlock Holmes should be interesting, right? Ok, now let's move on to the story. Series started with the introduction of Dr. Joan Watson (Lucy Liu - Charlie's Angels, Kungfu Panda trilogy etc) who had stopped from her medical practice and instead opted to become a sober companion. Her scope of work as a sober companion would be to accompany a former addict and ensure smooth transition from rehab to everyday life, and also ensure the person did not relapse into addiction, be it drug or alcohol addiction. Joan went to her new client, a British guy who lived in New York city named Sherlock Holmes (Jonny Lee Miller - Trainspotting, Æon Flux etc). Sherlock had just recovered from a drug addiction and already informed by his father about Joan's duty. Joan informed Sherlock that he had to stay with him for the next 6 weeks. Sherlock also shown glimpses of what he could deduce to Joan which made her felt a little bit confused. Later, he would share his experience back in London where he did consulting work for Scotland Yard. They left to a crime scene where they were met by Captain Gregson (Aidan Quinn - Legends of The Fall etc) with the NYPD. After the awkward introduction of Watson, they went into the house of a victim. Immediately Sherlock was able to deduce a lot of things in a very short time, including the victim's location where other detectives were still collecting evidences. I would not get into too much detail of the case in the pilot episode as it would be giving you the spoiler. Needless to say, Sherlock was able to find the culprit and at the same time amazed Watson. In the second episode, we would be introduced to a new character who would later on be permanent member of the cast, named Detective Marcus Bell (Jon Michael Hill - Detroit 1-8-7 TV series). He would be the detective at the ground level who at first was very skeptical of Sherlock but ultimately more respectful of what Sherlock could do. During the future episodes, there would be a lot of cases involving murders, robberies and so on, but the most interesting part would be when Sherlock's nemesis Moriarty started to take into the picture. So what interesting cases that Sherlock and Watson would encounter? You would have to see it through till completion of the whole 24 episodes for 1st season. Well I got to admit that at first I was a bit skeptical to see this one. After all, I already saw a perfect adaptation of Sherlock Holmes to my opinion in another TV series titled Sherlock with Benedict Cumberbatch as the interesting exceptional character created by Sir Arthur Conan Doyle. So what could this series possibly offer? Not to mention the controversy surrounding the choice of Lucy Liu to portray Joan Watson, a female character instead of a male character John Watson in the actual novel. But, it turned out that it was not a total disaster at all. 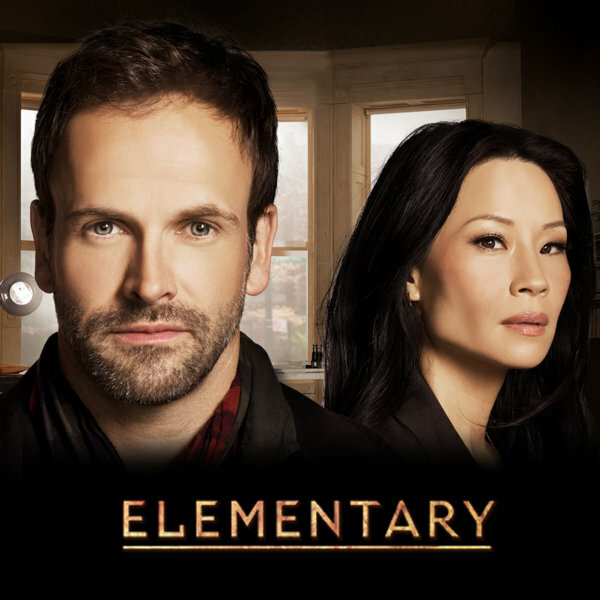 I found that even though it's a different gender, Lucy Liu was able to play as a different kind of Sherlock's partner. It is an interesting take of portraying Sherlock who was a former drug addict (you would see in future episodes the reason for this drug addiction) and it also would make the characterization of Watson as sober companion to be reasonable. And another interesting part would actually be the growing relationship between Sherlock and Joan. No, there was no romantic relationship between these two, at least in the first season. Though I truly hope it would not happen in the future seasons (I have not seen season 2 onwards, so I would not know about future developments). Anyway, apart from the unusual way portrayal of Joan Watson, the other characters were also shown quite a bit and not just like supplementary characters. There were 1 or 2 episodes specializing in cases which was linked to Capt. Gregson or Detective Bell. However, 1 thing that I was a bit disappointed was the surprise twist on the Moriarty case in the 24th episode. I personally thought it was a bit too much for my taste, though people might feel it as a good twist. The series also is having around 42-45 minutes each which would seem lighter in comparison to the British version which was having > 1 hour per episode. In addition, I think most of the episodes were not an adaptation of the novels, but more like it is having its own cases. Although some characters from the novel did appear in this series, like Sebastian Moran (played by Vinnie Jones - Lock, Stock and Two Smoking Barrels, X-Men: The Last Stand etc) and Irene Adler (Natalie Dormer - The Hunger Games: Mockingjay, Game Of Thrones TV series etc). The series also had some brief funny moments, usually involving Sherlock who was rather "naughty" and Watson who was very serious. Also some funny scene usually when Sherlock was too fast in deducing which confused Watson. I loved the scene in episode 19 which really connects to how I also felt. So if you are thinking of watching a different type of Sherlock Holmes who was struggling with drug addiction and a different type of Watson entirely, with the story being told in New York rather than in London, then you could definitely give this one a try. It would certainly give you a different perspective of Sherlock Holmes. However, if you are a real purist, then I think it would be a real challenge to like this one. As for me, though I quite enjoy this series and would not stop watching it, I still feel that the British version suits me better. Well the choice is yours.